I’m Kaila. Thank you for stopping by Healthy Helper! New here? Check out some of my favorite posts to get started! I am a 20 something college grad with a love for fun fitness, delicious food, and motivating others to live their best life possible! My interest in healthy eating and active living started as a child and since then has grown into a huge passion of mine. As I’ve changed throughout the years my love of good food, exploring new places, moving my body, and nourishing myself have never wavered. I love expressing myself through writing (something this blog has helped me discover) and finding people who share similar interests and values as me through this online community is what keeps this blog alive. Some of my other interests include: being outside in nature whenever possible, running, travel, public speaking, volunteering, baking, gardening, running without a route in mind, listening to audio books & podcasts, checking things off my to-do list, biking everywhere I can, dreaming of warm weather living (someday! ), taking long walks with my pup, practicing yoga & mindfulness, discovering new food favorites, chugging coffee and tea like it’s my job, freelance food photography, keeping up with the latest ‘must-watch’ TV series, cherishing moments with my family, and trying to maximize each day’s potential to the fullest! Having faced my own struggles in my relationship with body image and self love, I am passionate about helping others see the good in themselves and embrace who they are inside and out. I don’t shy away from the “heavy” topics on this blog. I find that being upfront about the obstacles in my own journey allows me to empathize and identify with those who are seeking advice and support. We are all a work in progress, but that doesn’t mean we shouldn’t love and care for ourselves along the way. I am also a NASM Certified Personal Trainer, a NESTA Fitness Nutrition Coach, and a Level 1 Precision Nutrition Exercise Nutrition Specialist. Feel free to reach out to me about Exercise Nutrition Coaching! What started as a way for me to try some of the newest health products on the market has quickly transformed over the past 8 years into something I am truly proud of. You can expect tasty recipes, helpful fitness information, discussions on body image & mental health, and some insight into the life of a woman trying to lead a happy (and healthy!) life. I love chatting with all of you! So please leave comments or shoot me an email at [email protected]! Also, feel free to follow along with me on Instagram, Twitter and Facebook pages! Interested in working with me? Check out my Work with Me page! Giveaway policy: Giveaway winners have 24 hours to respond to the announcement that they’ve won. After 24 hours I reserve the right to pick new winners. What a great idea!! Best of Luck with it your new blog. Awesome blog Kaila! I look forward to reading your upcoming posts. Happy Mother’s Day to your Mom, and have a great day. Hey Kaila, I’m glad you started blogging, and it looks like you have enjoyed many of the same products as us 🙂 We look forward to reading your blog! Like the blog! I added it to my blogroll. thanks so much! i cant wait to read yours too! I just discovered your blog. I love finding other teens interested in healthy eating/cooking and exercise! I too strive to eat a clean diet. I look forward to reading your blog and encourage you to check out mine! i will definitely check yours out! I love meeting other teens like me as well! thanks for commenting! I love your blog, we have so much in common! Can’t wait to keep reading! I can’t wait to read more! I love how you strive to eat clean, whole, natural food — that is a goal of mine too! Hi Kaila! Just found you blog and I’m so glad i did! We have a lot in common it looks like. Can’t wait to read more. Happy new year to you!! Hey, I just found the blog! I love reading healthy living blogs written by other teens. I know so few health conscious teens around me, so it’s great to have this community! Hi Kaila!! Thanks for the comment on my blog! You’re one pretty gal, and that pup is adorable! When I bet on your granola at Chocolate-Covered Katie’s blog, I didn’t realize that you’re a teen too! I just opened my box yesterday night, and I immediately started snacking. 🙂 I especially love the walnuts and the crisp texture. Thank you SO much the the added goodies as well. I’ve been dying to try the Blueberry Muffin Larabar, but I can’t find it where I live. I’ve also never tried Cashini butter or Cashew butter! Your granola is not going to last very long in my house. I’m glad you liked it Sami! The recipe is actually in my recipes tab….but I changed it a bit because of Katie’s giveaway I made it vegan and healthified it a bit! I will send you the revised version that I used for your batch! Thank you so much! I can’t wait to check out you’re blog! From the name, I know I’ll love it! Pb and chocolate? Yes please! I love your blog! I love the “Healthy Helper” on the beach picture! I absolutely agree on the importance of proper nutrition. Hi!!! I love other teen health food blogs!!! 🙂 That’s cute how you wrote healthy helper in the sand. Yay! I love new commentors! Thank you so much for stopping by! Thank you so much for stopping by! I love meeting new bloggers! I love you! I am a big walker/runner/biker vegan loving 20 year old (who looks so much younger due to past disordered eating history). I also love dogs to pieces (had two collies) and an even bigger horse nut. I am a big food and health finatic, and I think we could become huge friends! I’m reading your application for Eckerd right now! Thanks for giving me the address to your blog. This is AWESOME! Keep up the good work and I’ll talk with you again soon! 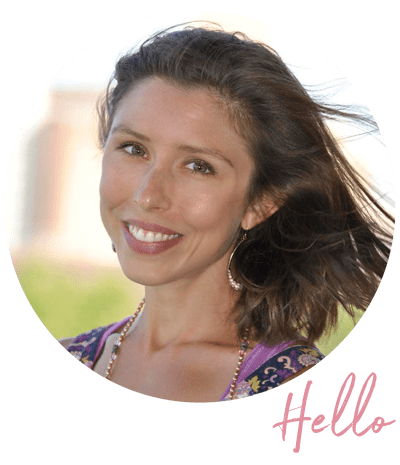 I always read healthy food/living blogs and today while I was reading chocolate covered Katie’s, I came across your blog somehow I am and am so glad I did! I had no idea about the community of teen bloggers that like the same things as me! Seriously I don’t know anyone personally my age that is interested in healthy nutrition. They wouldn’t have any idea what a larabar is or even like almond butter for that matter! I don’t feel so alone now! Aww thanks girl! This comment totally made my day! SO nice to see other people my age with a passion for healthy living!!! I just came across your page! I love how it looks and what I’ve read thus far. Can’t wait to stay with it! Aww thanks girl! Always glad to have new readers in the community! I look forward to checking out your blog too! Thanks for stopping by! I love meeting other teen bloggers!!! So happy to meet you today girl and find out more about you from Fit 2 Flex! 🙂 I am following along now! Enjoy your Saturday! They sound like busy days for you! I love finding healthy, positive bloggers! I’m now a follower, and I’m looking forward to reading your old and new posts! Aww thank you! Happy to have you here! Aww thank you so much! I am so happy you stopped by to comment! I can’t wait to check out your blog! Kaila, you’re amazing. I love your blog. And I think it’s wonderful that you care for your body and your life the way that you do. If we don’t care for our own bodies, how can we show respect to anything else? I think it’s great how successful your blog is! And you’ve done a really great job on it! Aww thanks Jenna! That means a lot! Thanks for checking it out! As I mentioned to you before, I love, Love LOVE your blog site! It totally reflects your charming and outgoing self. I am delighted that we “met” through a connection and communication with the company that I work for: COCONUT SECRET in Mill Valley, CA. Wishing you all success with your new college studies and ventures in creative writing as you also explore the wide world of healthy eating and culinary arts. It’s my pleasure to share and spread the word about your blog. All the ebst! Lena in Mill Valley, CA. Hello, Kaila!! Greetings from Brazil!! My name is junior, and I loved your blog. Have you tasted our food? What did you think? Kisses!! What a gorgeous little corner of the blog world you have here. I love finding other bloggers who are just as passionate about fitness, healthy living, healthy eating and experimenting in the ktichen as I am! Kaila, Met you at the NPWE show in Anaheim, CA in March. E-mail me if you want to have a sample of product to blog on here. Thank you. I was just perusing your site and noticed your comment about being in a mental funk of late. I was sad to read that, as I have family members who deal with physical and mental issues, and have seen what a struggle they go through. (my own daughter deals with hashimoto’s and lyme). From a practical point of view, I have learned that while we may be doing many things ‘right’ in a health way, a few insidious things can be undoing much of the good nutrition we take in and exercise we do, and effect us physically and emotionally as well. To cite one simple example (from Dr Jerry Tennant’s book “Healing is Voltage”): Coffee & tea block zinc; without zinc we don’t produce enough stomach acid; without proper stomach acid we don’t digest the foods we eat properly, and we don’t break them down into the amino acids needed for making new cells; without making good quality new cells, we can suffer mentally and emotionally; ie. without zinc we cannot make serotonin, without serotonin we won’t sleep well, and we’ll get depressed. Worse yet, with poor stomach acid some proteins we eat may be absorbed by the body and used to make new cells- (which is not supposed to happen- the body should break all proteins we eat into amino acids from protein and make new cells itself) – when this happens, our body views the new tissues/organs as ‘foreign invaders’ and starts attacking them (us), ie. what many would call ‘auto-immune’ diseases. Iodine is needed to keep pathogens in the body under control…and it’s used to regulate our metabolism and temperature. Iodine absorption is blocked or drastically reduced if we have fluoride in our system…and blood tests for low T4 or low T3 cannot ‘see’ this, because they see the T4, but don’t know that instead of tyrosine and 4 iodine molecules as is normal, we have tyrosine and 4 fluorine molecules instead….and this Fake T4 which doesn’t do what it is supposed to do, but it does take up a ‘seat on the bus’…in fact you may have all the seats filled with no ‘paying’ passengers…thus flouride is preventing many from having energy, from having the resistance to fight bugs, etc. Iodine is blocked by flouride….which is in most of the drinking water in the united states…and many of us drink it everyday….cook with it….etc….so most of us are likely iodine deficient. Any rate, I could not hold back from sharing something that might be of help to you….Tennant’s book explains a lot more, and very simply as well. You don’t need to publish this, but I didn’t know how to just send you a personal email. Thank you for all your insight George! I really appreciate you taking the time to share that info with me! It’s definitely very interesting. I am doing a lot better recently in terms of feeling in a funk and I am hoping that I continue to improve! Thanks for reading. Kaila – love the new blog design! You look beautiful!! I am curious, does your website or anything you use or do take debit cards? Reason I am asking is because I was charged last month for using healthyhelper. No…I don’t take any credit cards on my site.